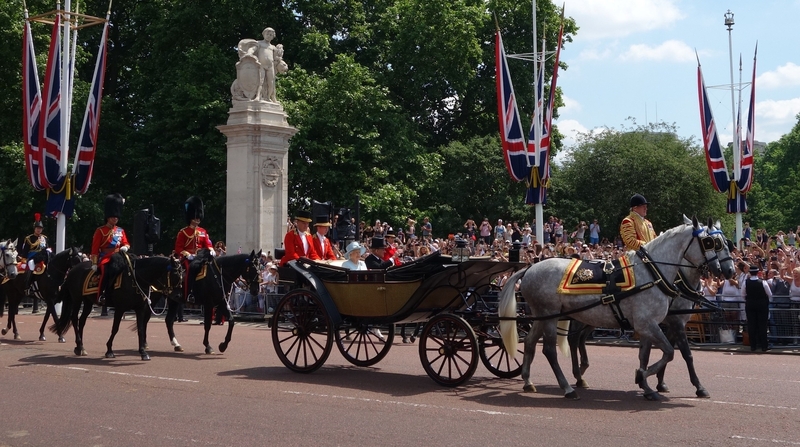 Yesterday, we attended Trooping the colour, the ceremony for the Queen’s official birthday which is always celebrated mid of June. Her actual birthday, however, is somewhen in April. But English weather makes a celebration in summer a bit nicer. And yesterday, we had super sunshine with tempratures as high as 28 degrees celsius. It has been a brilliant day. Trooping the colour is an inspection of the Queen’s guards by the queen. 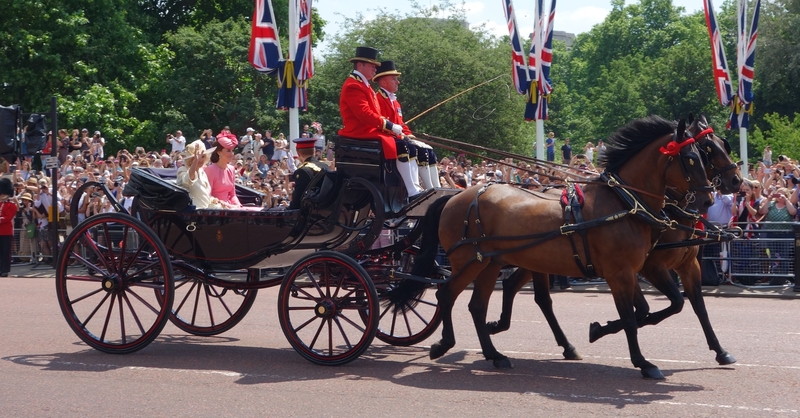 The inspection takes place at horse guard parade followed by a procession to buckingham palace, where the royal family is watching an aur force flight over. Although the parade was rather short and we have the feeling that the English might be able to learn from Cologne how to parade, we enjoyed a sunny day out.